Deciem, a self proclaimed 'abnormal' beauty company is known for their word-of-mouth marketing. I’d heard about the company from one of the blogs I follow, and only noticed that they were opening a Vancouver store solely because I pass the storefront on my daily walk to work. With some investigation, the only marketing I found on the store opening was a single Instagram post casually announcing the opening date, and a small note on the Locations page of their website. With little to no marketing on the opening, I was surprised to find that when I arrived mere hours after they opened their doors Deciem was packed with a line that wrapped around the store. Perusing their many products, I felt pretty overwhelmed. No idea what Superoxide Dismutase Saccharide Mist is, or how I was supposed to apply Granactive Retinoid 2% in Squalane. I had entered into a new world! It was clear the customers were hyped, the store was a buzz with conversations on skincare and people gushing about their favorite products. With all employees dutifully attending the many customers, I decided that I needed to run back to my laptop and do some more research on Deciem and what it had to offer. In their own words, Deciem is an umbrella of brands focused on advanced functional beauty. From a new-comers perspective I see Deciem as a sort of modular beauty company. They are ten unique brands under the parent company, Deciem. 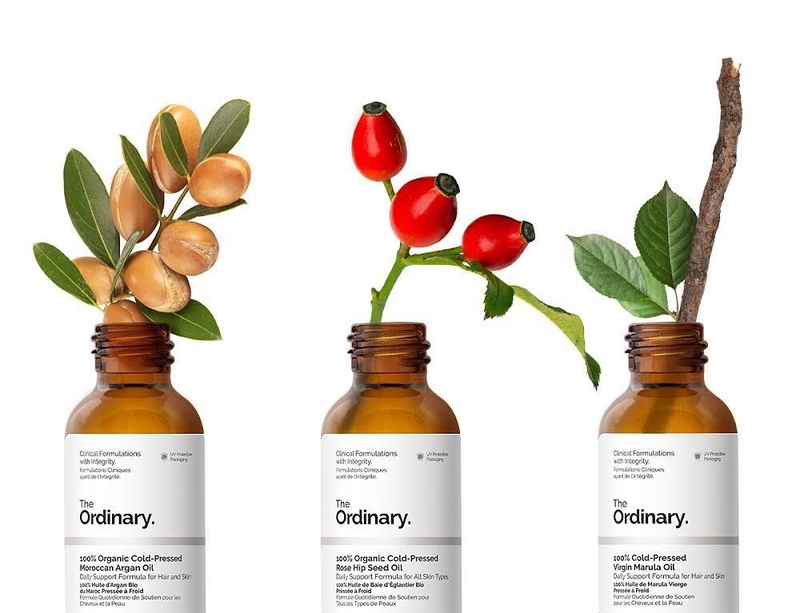 From their line of beauty supplements called Fountain to a line of cleansing conditioners called Hif, to one of their most popular brands, The Ordinary. Each brand carries an array of unique products targeted to a certain beauty niche. Personally, I've added one of The Ordinary’s cold pressed oils to my nightly facial regimen. To my understanding, The Ordinary has essentially deconstructed serums to specific key ingredients that you may see in popular brands. Instead of giving them, catchy names, they simply tell you what's in it. Finding what you're looking for requires a little more digging than you might be used to. For those who are overwhelmed, they have this really helpful guide that can be found here. If you’re looking for a more personal touch, customer service reps will also talk with you and help you find the perfect products for your skin via email or in the store. So, Who is Deciem for? Deciem is for the person who wants to take their beauty products into their own hands. The way the company is structured, you need to put in at least some effort into finding out what product is right for you. It definitely takes a little more than just reading the bottle, or finding the 'Dry Skin' label. Overall you can't beat the prices of most of the products and the simplicity allows you to mix-and-match with whatever works for you. Personally, I’m excited to have this brand nearby to keep in my arsenal as I continue on my own personal skincare journey. What are your thoughts on skincare and beauty? Are you interested in knowing the specifics of your beauty regime, or are you more of a 'if it works, it works' type of person?